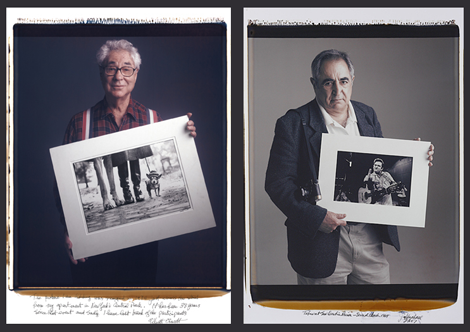 Elliott Erwitt and Jim Marshall, from Tim Mantoani's "Behind Photographs" project. ©Tim Mantoani Photography Inc. Behind Photographs — I have been shooting portraits of photographers for the past 2.5 years on 20×24 Polaroid. 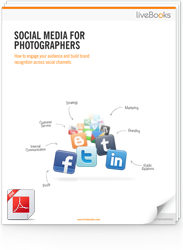 Each photographer is holding an image they are known for. As many of these photographers, like Polaroid, fade away, I hope these images will be a way for future generation to appreciate the contribution these artists have made. I started shooting in Dec ’06; I always wanted to try shooting with the 20×24 Polaroid. Since it is expensive to rent, I wanted to shoot something that meant something special to me. I knew both Jim Marshall and Michael Zagaris and asked them to bring in a favorite image to hold for a portrait. It all snowballed from there. What is your favorite image so far? Too many great images and memories to call out a single image. Cost and time. I have really maxed myself out financially shooting this project, but it is all starting to come together now that people can see the work. Sadly, some of the participants have passed away, but it is a great feeling to know that I can help keep their legacies alive. Being able to spend some time with each of these photographers, to hear their stories and collaborate on the final image. I would love to see this project in a large venue where I can show all of the images at full size. Every photographer has a personal project they want to shoot. JUST GO DO IT!!!! There will always be a bunch of reasons not to: money, time, risk. But at the end of the day, the images you shoot for YOU are the ones that will be your best and the most rewarding. The roller coaster is more fun than the merry-go-round.